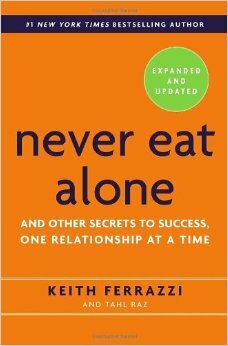 Keith Ferrazzi is the guru of networking and this book lays out his approach, tactics and benefits. While networking has a bad stigma attached to it, what Ferrazzi is truly advocating is building generous, authentic and profitable (socially, monetarily, emotionally) relationships with others. Summit isn’t just in the business of helping launch entrepreneurs. It’s in the business of creating community, the most valuable form of social capital—the intimate, supportive relationships that spur collaboration while deeply satisfying our human need for connection, belonging, and meaning. Some of the key lessons of this book: generosity in relationships, above all; audacity; social arbitrage; blending the personal and professional; connecting through passions; giving back; having fun. Once a dirty word, networking has become the lingua franca of our times, acknowledged as an inherently human pursuit—not ugly or exploitative, but inherent to the forces of reciprocity that drive human development and a collaborative economy. Today’s most valuable currency is social capital, defined as the information, expertise, trust, and total value that exist in the relationships you have and social networks to which you belong. Your path to greatness begins the moment you find the courage and the audacity to reach out with generosity. This entry was posted in Books and tagged Career, Keith Ferrazzi, Networking, Tahl Raz on May 4, 2015 by Blas.